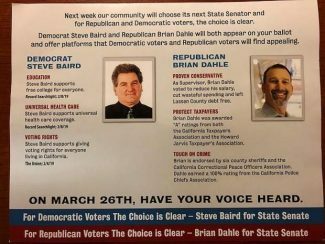 When it comes to one of the most divisive topics on Tahoe’s South Shore, the two candidates running for El Dorado County District 5 supervisor appear to be, on some level, in agreement. Speaking at a candidate forum in South Lake Tahoe Thursday, both challenger Kenny Curtzwiler and incumbent Sue Novasel advocated for increased enforcement of current laws regarding vacation home rentals (VHRs) in unincorporated parts of El Dorado County. Neither called for a moratorium — which Curtzwiler advocated for during the primary — or a ban on VHRs, though there was some space separating the candidates as far as what rules they would like to see enforced. Novasel, who was one of two supervisors to serve on an ad hoc committee focused on VHRs, spoke in favor Thursday of the approach adopted by the board of supervisors earlier this month. Curtzwiler, in addition to agreeing with Novasel, pointed to the construction of massive homes for the purpose of operating a VHR. In echoing a point frequently raised by VHR opponents, he said those structures were incompatible with residential zoning. “We have brought this on ourselves by not enforcing the TRPA rules of an R-1 zoned area for single family,” he said. Novasel responded, saying the TRPA’s counsel has advised the governing board that VHRs are an allowable use in residential areas. 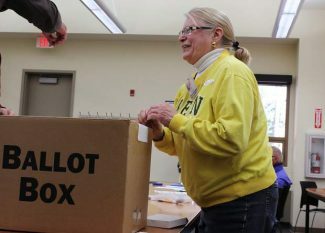 During the primary race earlier this year, Novasel argued that the county was addressing the issues, while conceding the process wasn’t moving as fast as some residents wanted. Curtzwiler called for a moratorium on all new VHRs in order to force supervisors to act. Earlier this month they acted. Supervisors adopted changes they said are intended to allow for increased enforcement. Some of the changes include: the establishment of quiet hours; establishment of penalties for operating a VHR without a permit; requiring fire and other safety measures; and limiting overnight occupancy to two people per bedroom. However, several changes included in a conceptional version of the ordinance approved in July were eliminated from the final version. 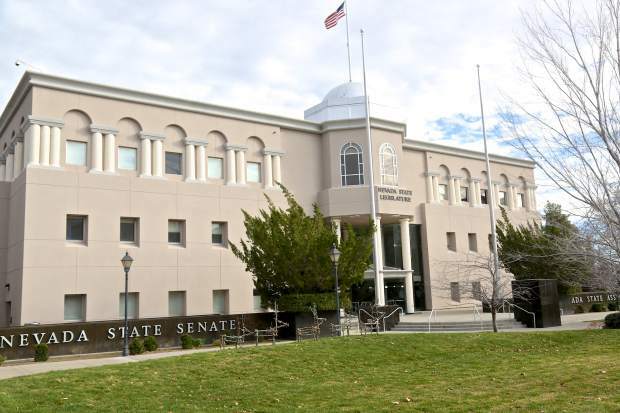 The county squashed a proposed cap of 900 VHRs following a public meeting in which, according to several supervisors, neither side on the issue could agree. Tahoe Residents First, a group that has lobbied for strict VHR regulations, argued in favor of a cap of 600, while industry opposed a cap. In removing the cap, the county expressed a desire to allow the new regulations and increased enforcement to take effect while the county begins collecting data. The issue would then be revisited in March. Depending on the data, the county could consider additional regulation to prevent over-saturation, or clusters, of VHRs in specific areas. On Thursday, Novasel stood by the decision to not include a cap in the recently adopted ordinance — a move that members of Tahoe Residents First and others decried as caving to the VHR industry. “We did not say to you ‘we’re not going to have caps, we’re not going to have clustering issues’ … what we said was ‘we’re going to have our staff come back again in six months … and then decide from there what needs to happen,'” she said. Curtzwiler agreed with Novasel regarding the cap. Curtzwiler also agreed with the idea of collecting data before considering additional changes. “The city has already done that. And the city, to their benefit … that is working in the city right now,” he added. 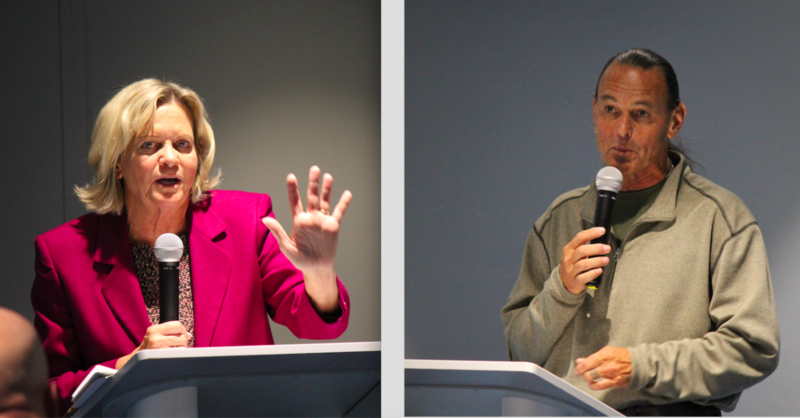 The Tribune will post additional coverage of the candidate forum in the coming days.